Organic navel lane late orange extra jam with Agave syrup. 85% Fresh fruit. Sugarfree. Without gluten. Jam with smoother flavor. 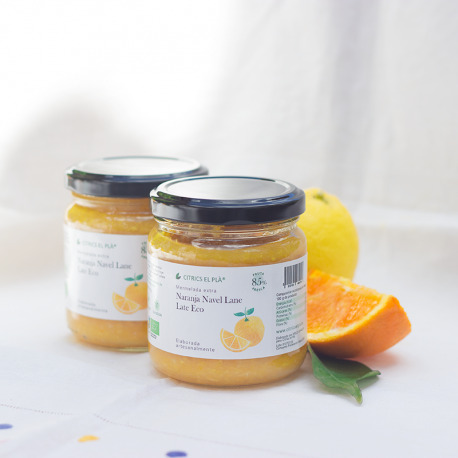 The orange Navel Lane Late is a bit more sweet than navelina orange because of its low level of lemon, if we add a little more agave syrup the result is a softer and traditional jam with 85% fresh fruit. Ingredients: 83 g of naveline orange *, 2 g of lemon *, 15 g of agave syrup * on 100 g of product. Conservation: Once opened, keep in the refrigerator.